A clear view of your electrical network – immediately. 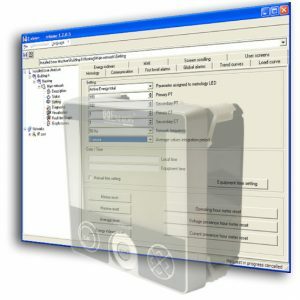 Simplified inventory with 2 models covering all the applications. 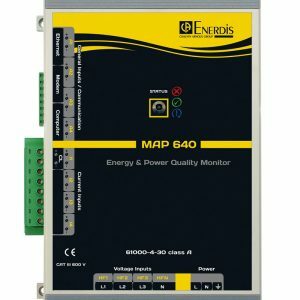 MEMO P200: The MEMO P200 is a simple, low cost, high-performance power monitor providing a clear view of your electrical network. 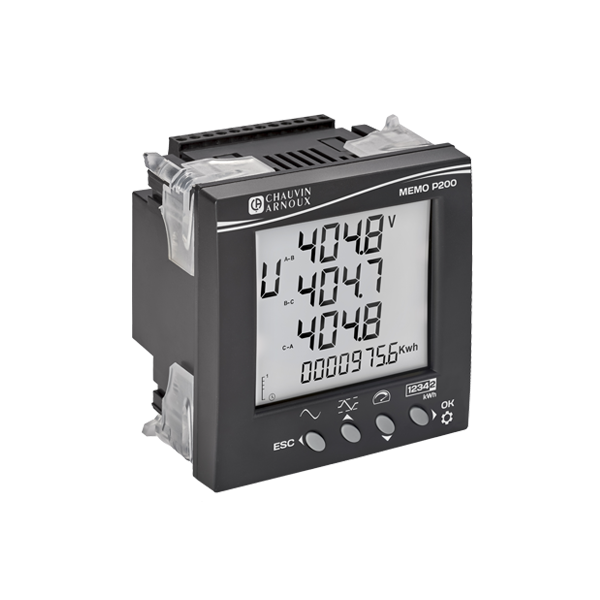 All-in-one screen: 3 lines for easy-to-read display of the three-phase network’s behaviour and a line dedicated to the total consumption. Easy to use: 4 buttons for quick navigation and startup. 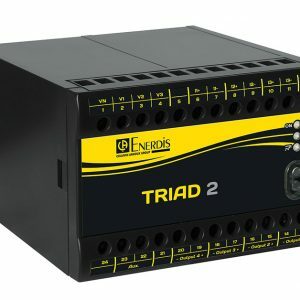 Native interoperability with all systems: The built-in Modbus RS485 output allows remote use and operation of the product, its On-Off output enables it to interface simply in a monitoring or test architecture. 4 tariffs: Monitoring of your consumption in accordance with the energy pricing constraints.